Overwhelming. Time consuming. Never ending. Frustrating. Political. This is how Action Group members described the RFP process at our recent meeting: Surviving and Thriving: Making the Most of the RFP Process. 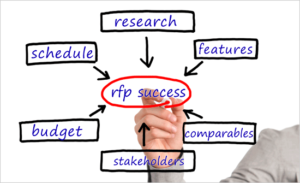 But whether you think of Requests for Proposals (RFPs) as a solid business discipline or a burden, they are a reality for benefits professionals today. Expert meeting panelists at our most recent member meeting included two employers, a consultant, and a health plan representative who shared their perspectives, lessons learned, and best practices for surviving and thriving during the RFP process. Here are the top five tips and observations from each of them to help turn your frustrations into triumphs! No matter how early you start or how well defined the process is, expect to run a few fire drills as players and politics shift. Let vendors know the importance of a two-page executive summary so they are prepared to deliver the highlights as succinctly as possible. Network with other employers to gain insight into which vendors are most likely to be a good fit for your needs and culture. The lowest bidder is not always the best partner. Because of the infinite possibilities, choosing wellness vendors can be the most difficult. The key is to set goals for what you’re shopping for to meet specific needs for the short and long term. Be sure vendors can readily provide data to track progress and inform decisions. Identify your “North Star” for values and goals and stick to it to avoid regrets. Our RFPs must be publicly posted and we are required to read and weight every question, making it even more important to structure questions very carefully to enable apples-to-apples comparisons. Avoid too many open-ended questions that can lead to having to re-issue an RFP. Take advantage of your peer network to learn from others and understand how to set realistic expectations. Be prepared to hold vendors accountable for promises being made. Understand the goals, gaps and desired outcomes as you balance employee experience and cost savings goals. Health care benefits are not a commodity; solid relationships help ensure everything is working well on behalf of employees. It can’t just be about cost. The more we understand our clients, the more value we can provide. Long-term, ongoing relationships help achieve success toward overall goals. Insist on transparency from your consultants to avoid hidden fees and unpleasant surprises. Plan a three to four month minimum for any benefits RFP. We strive to understand client strategy by listening to their needs, rather than rolling out established solutions. Differentiation comes from addressing issues successfully. There will always be challenges, but how will they be addressed? Be wary of solutions that appear to be a “cut and paste,” rather than customized. The busiest season is March, followed by April and February, so employers may want to allow for extra time during these peaks for the best service. When employer procurement and benefits teams are aligned, RFPs are most effective. In The Action Group’s 2017 Annual Employer Benefits Survey, the top reason cited for changing health plans was cost. Yet, innovation, service, “fit,” and measurable results are also important according to the Survey…and meeting participants. Meeting evaluations revealed that even the most seasoned of benefits professionals are often left searching for a better way, and by collaborating with other employers, consultants, health plans, and other vendors, even the “overwhelming, time consuming, never ending, frustrating and political” RFP process can be manageable — and even gratifying. The Action Group’s Member Directory is available through the Member Center on the homepage, making it easy to network with colleagues who can serve as sounding boards as you strive to balance health care cost, quality and access issues on behalf of your employees during the RFP season and beyond. 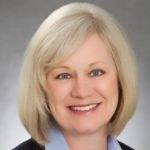 Deb Krause is Vice President of the Minnesota Health Action Group and Chair of the American Cancer Society Minnesota/Dakota Leadership Board.